The latest addition to the OEPS portfolio of courses is now available. ‘Global Trends in Death and Dying’ was written with the University of Glasgow’s End of Life Studies group. 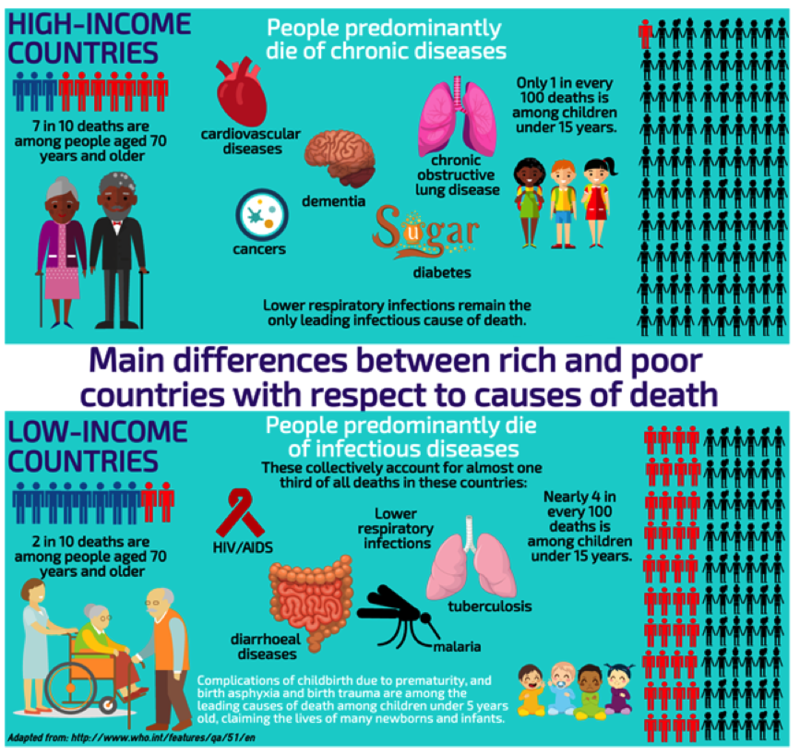 It draws on cutting edge research to ask questions about death in a global context, looking critically at the different ways that death is experienced around the world, at the causes of death and the causes of these causes. Global Trends is the ninth course to be launched by the OEPS project with a further six scheduled for release over the coming months. It joins a number of other courses including My Seaweed Looks Weird and the Parkinson’s UK and Dyslexia Scotland collections that have a focus on knowledge exchange. You can download the report here. It will be added to the OEPS Legacy Collection. As the OEPS project draws to a close, there is much to celebrate. We are pleased to share the growing collection of open courses, resources, case studies and open practice guidance which the project has helped produce and showcase the online platform, OpenLearn Create, which the project has helped further develop for hosting open materials and practices and where the OEPS collection is hosted. Resources for OEP includes case studies on how other people and institutions have used open educational resources and practices; guidance on ways of finding, using, creating and sharing high quality open educational resources (OER) and how to use open educational practices and research on open education. These are worth exploring to find something which might be similar to your own experience and give you encouragement to continue investigating the fascinating world of open learning and what it enables for so many people. The OEPS team have written two courses about open educational practices, Becoming an open educator and Supporting Collective learning in workplace and community settings and have also been involved in co-authoring a course about creating courses – How to make an open online course. OEPS also worked with the Scottish Association of Marine Science (SAMS) to create a short course called My seaweed looks weird for post graduate learners about seaweed aquaculture to explore best practice in seaweed cultivation. We have produced two short resources introducing secondary school children to using the Open Science Lab tools to enhance their learning of Analysing pesticides or testing for genetic variations using quantitative PCR analysis (polymerase chain reaction). Early in the OEPS project these were piloted with two schools in Scotland and have been revised slightly as a result of the pilot. Early in the project The Open University in Scotland produced 3 badged open courses for carers which carry the OEPS badge design – see the OU in Scotland collection for Caring Counts: a self-reflection and planning course for carers, Caring Counts in the Workplace and Reflecting on Transitions. We are working with Parkinson’s UK on their collection of courses and Dyslexia Scotland and Addressing Dyslexia Toolkit on a collection of courses. So far Understanding Parkinson’s and Introduction to Dyslexia and Inclusive Practice have been published and each organisation has worked with OEPS to develop more courses which are coming soon. More recently we’re pleased to see that the OEPS project has encouraged independent course creation – see the free resource for teachers Grow your own loaf created by the Royal Highland Education Trust, inspired by the OEPS project and hosted online as the result of the availability of the free open platform which the OEPS project has helped improve. We hope that you will find the OEPS collection useful, not only as a legacy of the project but also as a place to find and share information on open educational practice. The collection can be updated so please contact the OLC team if you would like to contribute to it. ‘The promise of open education’ conference is the final event of the OEPS project. It will take place on Monday 11th September in Dynamic Earth, Edinburgh. Further details about the event will be made available soon, however please save the date in your diaries. Hot off the Press: Three new case studies are go! We’ve published a number of interesting case studies and best practice examples over the past 6 weeks. To help keep you up-to-date, here’s a quick round up of the latest posts. Explore these and other case studies on oeps.ac.uk. Collaborating to build “a city of information literacy, a city of Wikipedia” features Ewan McAndrew, Wikimedian in Residence at The University of Edinburgh. If you’re interested in finding out more about how Wikipedia ensures entries contain “fact checked information”, ideas for using Wikipedia in your teaching or are curious about what an edit-a-thon is you’ve come to the right place! Find out more about how the Social Innovation Academy led by Edinburgh’s People Know How use OER to enable community focused training in partnership with a range of organisations. How did the scheme benefit participants and what’s next for this exciting collaboration? Read more about how students are using Wikibooks to co-create open textbooks and critically engage with their own use of social media platforms as part of The University of Stirling’s Digital Media and Culture module led by lecturer Greg Singh in Using OER to Test Assumptions… If you’re thinking of using open knowledge platforms in your teaching, don’t miss reading Greg’s advice! Have you got an idea for a case study or open educational practice you want to feature? Get in touch! We’d love to hear from you. Tweet @BeckPitt and @OEPScotland or email oepscotland@gmail.com for more information. 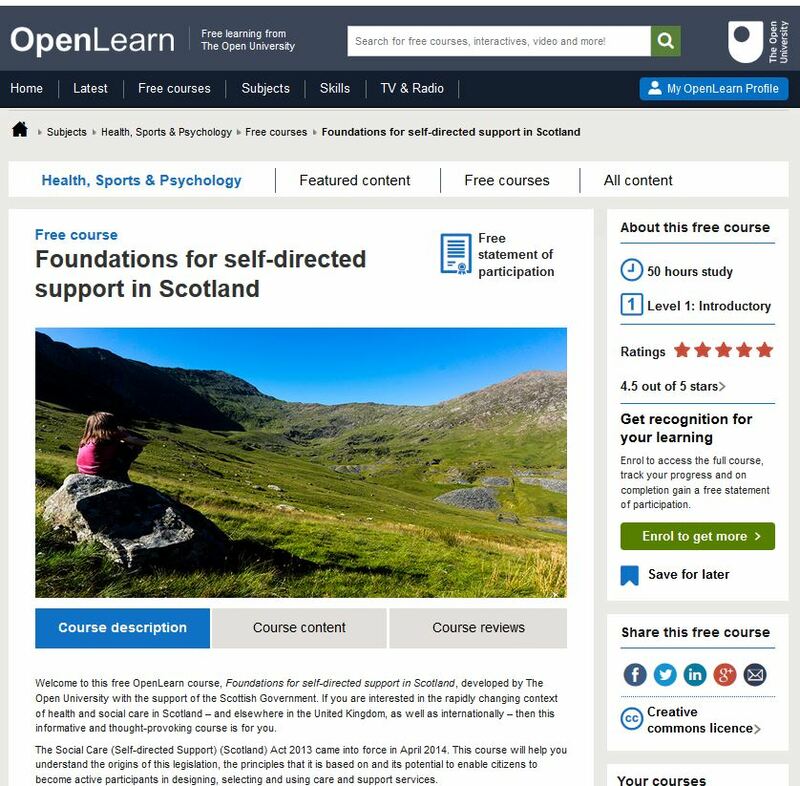 In September 2016 we published a post on the openly licensed, online course ‘Foundations for Self Directed Support in Scotland’. The course was commissioned by the Scottish Government and developed by the Open University in Scotland together with the Open University’s Faculty of Health and Social Care. The evaluation report produced by the development team describes how engagement with the course was fostered through the use of workplace and community ambassadors. The course has been successful in attracting a large number of users. Moreover there is evidence from the evaluation that where learners were able to engage in peer interaction in the workplace levels of retention and achievement were high and had an impact on wider workplace culture. The course team has now published an annexe to the evaluation report that provides templates for the face-to-face workshops that were used to encourage successful participation. The report and its annexe provide a valuable insight into the value of combining well designed open online courses with supportive and contextualised practice. The annexe includes the full set of six workshop designs as a single pdf document and also as a Word file that is openly licensed and can be disaggregated, edited and reversioned. Reusable Thinking About Open Workshop content out now! As you might be aware, OEPS have conducted a large number of workshops on different facets of open practice with organisations and institutions across Scotland over the past two years. Perhaps the team has visited where you’re based or you caught taster sessions of workshops at an OEPS Forum? As part of the OEPS commitment to openness, we’re proud to announce that the first set of reusable workshop content is now available. This content relates to the Thinking about Open workshops that myself and Bea developed and facilitated. The workshop content is CC BY licensed and we invite you to reuse it in any way you see fit! You could facilitate a similar workshop, reuse any of the activities and content or simply review it for ideas. The choice is yours! So what is Thinking about Open? Thinking About Open is a half-day workshop exploring what openness and open educational practices are. 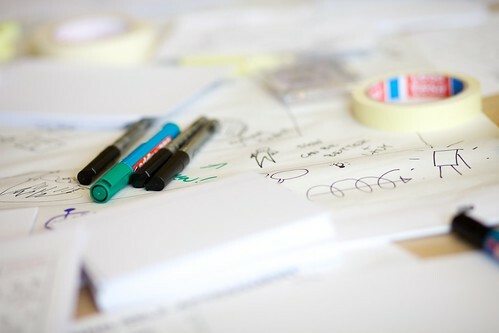 The workshop aims to help instigate discussion at your organisation on how openness could make a difference to your own practices whilst acting as a springboard for further discussion on the practicalities of open practice. The workshop utilises a range of case studies and examples of openness to help facilitate discussion. Thank you so much to everyone who hosted and participated in a workshop! OEPS Summer Newsletter out now! It’s been a busy few months! To help keep you up to date with all the project’s activities and what we’ve been up to, we’ve just published our summer newsletter. Our open badged online course Becoming an Open Educator is now live on OpenLearnWorks! Don’t delay, catch up with all the news and download your copy today! This month is a busy time for the project with ten workshops scheduled between now and the end of September. The majority are learning design events. Two of the design workshops involve the Equality Challenge Unit and a consortium of universities and colleges. The aim is to produce an open course for teachers that supports efforts to increase the number of young women choosing to specialise in STEM subjects. Later in the month we will meet with staff from The University of Strathclyde to work on the first stage of planning a open CPD course for pharmacists. On the theme of teacher CPD we are also facilitating a first stage design workshop for a project aimed at producing a Scots Language course. However, the design workshops are not simply aimed at OER production. We will also be using participatory design methods to help Unite the Union and the Poverty Alliance think through student centred approaches to the curation of free online resources. In addition we are meeting with members of the Learning for Sustainability network to think through the links between open practice and the specific needs of educators in this inter-disciplinary area with a view to designing a workshop or workshops for a wider audience. Towards the end of the month we will be running our ‘Thinking about Open’ workshop for the University of the Highlands and Islands in Inverness and the College Development Network in Stirling.